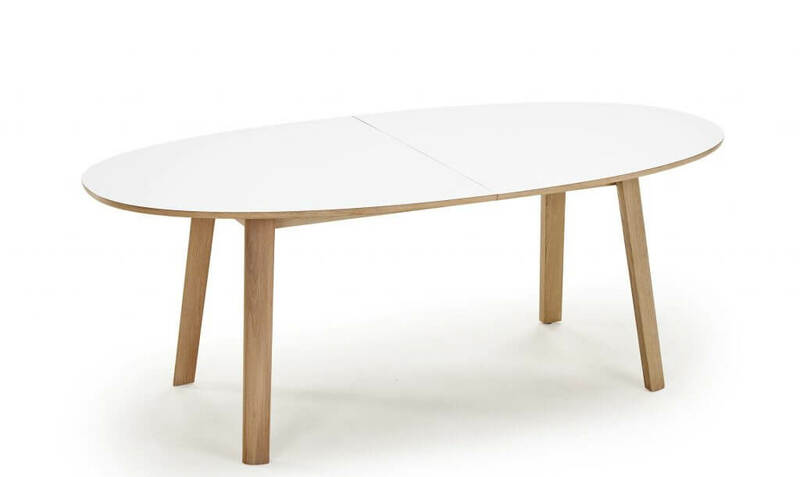 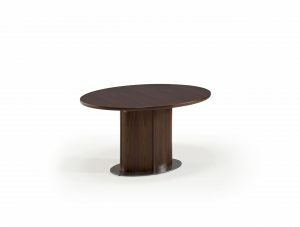 Skovby SM 20 ellipse shaped dining table has three extension leaves stored underneath its table top. 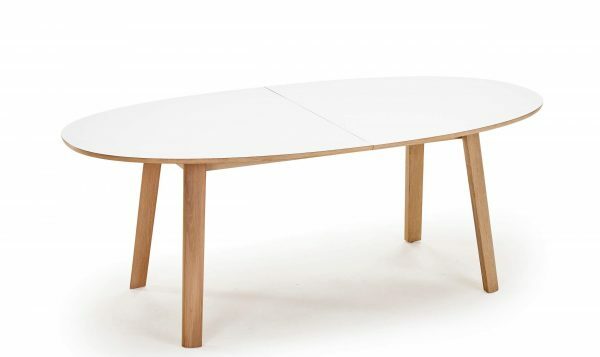 When extended with one leaf, an extra chair will fit between the table legs. 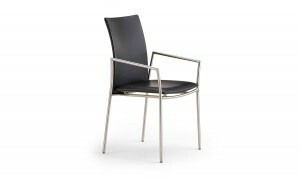 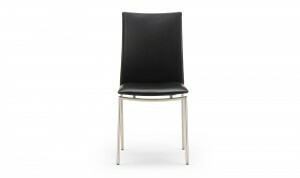 If extended with all three leaves, a total of four chairs will fit between the table legs making room for ten people. 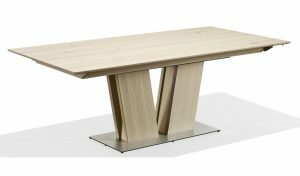 In other words, this table is perfect for a townhouse, a city apartment or any home with limited space, where you still want to have your closest friends or family over for dinner.